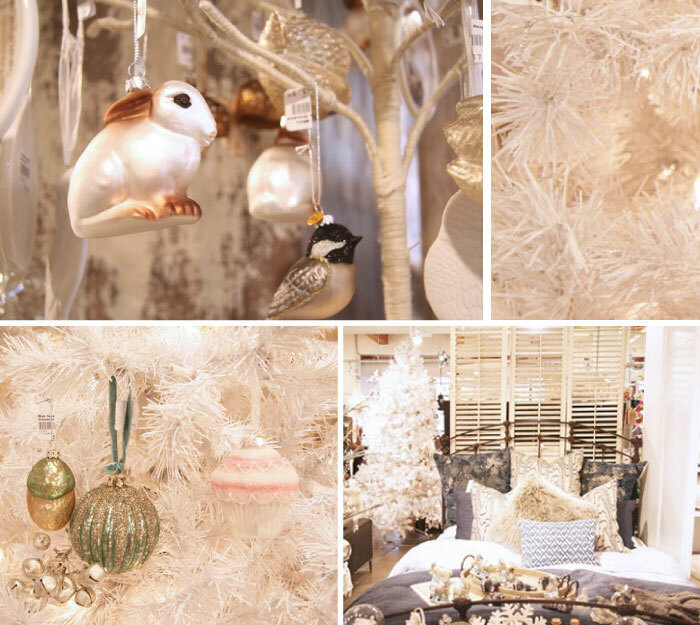 This season I thought it would be fun to take you all shopping for a little holiday decor inspiration. 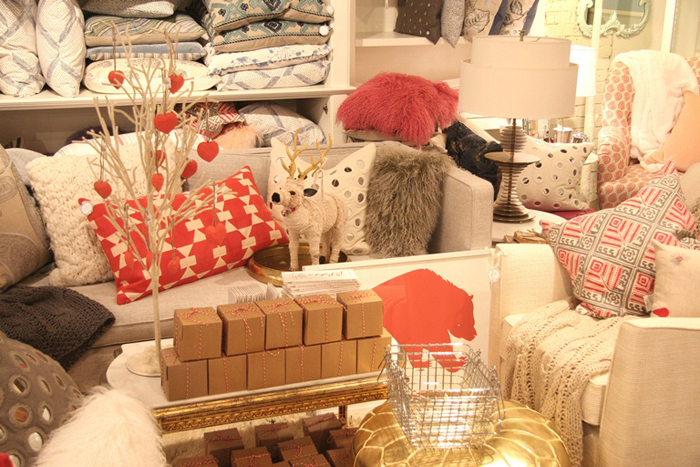 Taking you virtually to actual real brick and mortar stores. 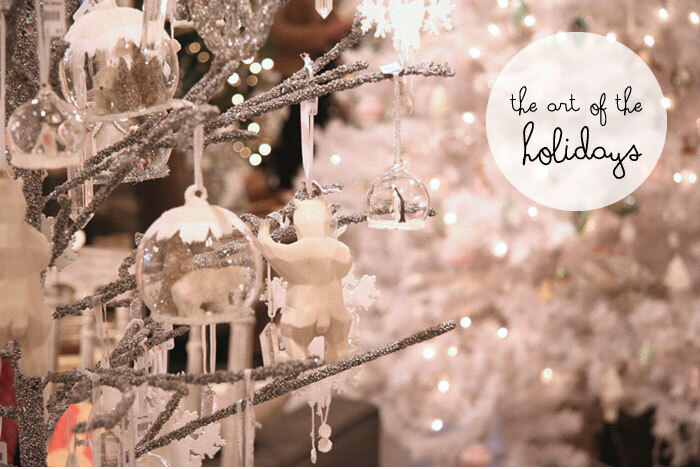 So I've started to invite shops to send in pictures of their holiday displays for a special series called "the art of the holidays" (a little take off from my regular "the art of the display" posts). 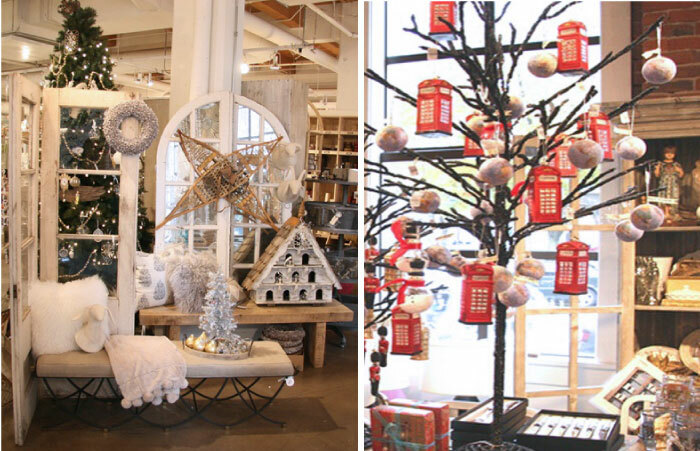 So to kick things off this week we've got some magical displays from a favorite shop here in Vancouver, The Cross. The Cross is a 5000 sq. 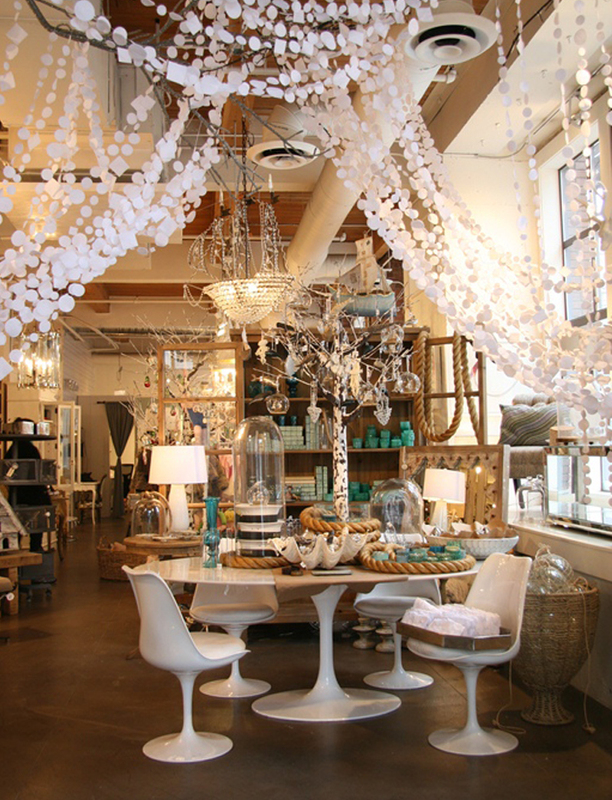 ft. home decor store as well as a full service interior design firm. 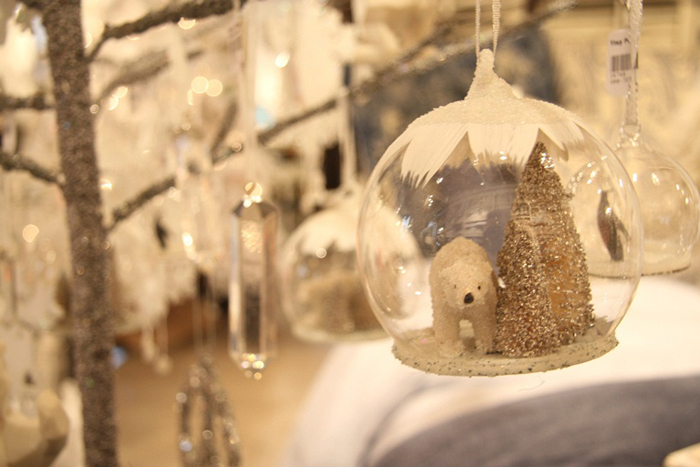 They just finished decorating the shop and it's chock-a-block full of beautiful ornaments, garlands and inspiration. 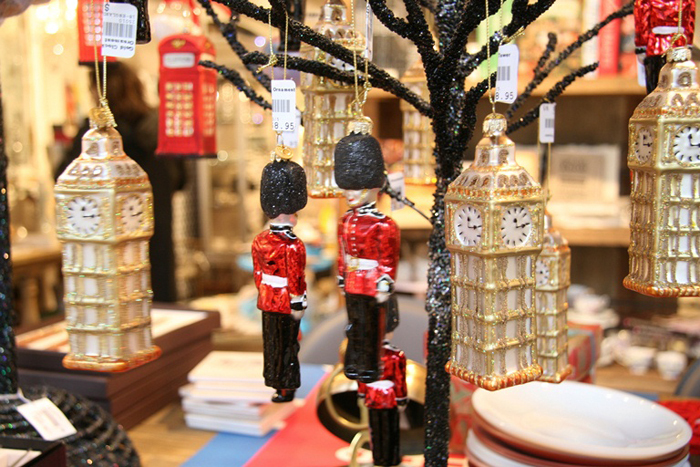 I'm loving the white paper garlands at the entrance (image directly below) and their British-themed ornaments. Check out more below the jump and visit The Cross online or here in Vancouver at 1198 Homer Street (@ Davie), Vancouver, British Columbia (map). Photographs by Megan Close. (Thanks Megan)! This gives the chills.. in a good way! I love Christmas! This is a fun idea for a series - I really love holiday displays. Can't wait to see more!